Bill & Larisa Green as they share "Life!" 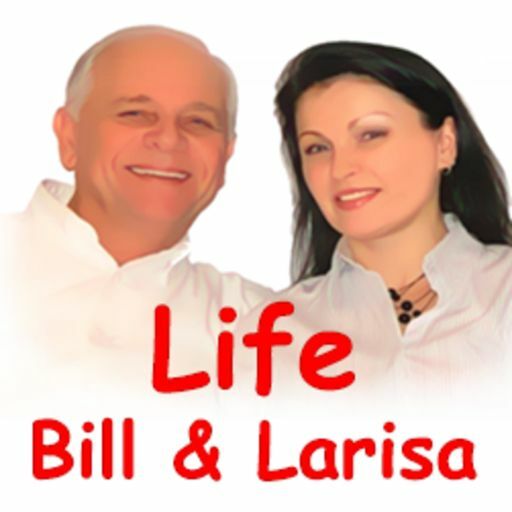 Join us every Friday when Bill and Larisa Green share life, love, family and more! Larisa is from Ukraine. Bill is from America. Have fun listening to these two recall memories from the past and thoughts for today! "Goals, Clutter and The Extra Blender"
"College, Cousin and Where is The John?" "Education, Language and The Ugly Duckling"
"Cats, Cows and Where is Luda?" Larisa shares life in her village in the south of Ukraine. Larisa's mother is a retired nurse. 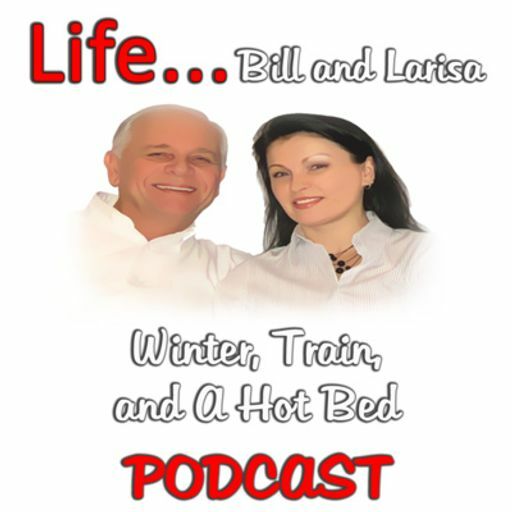 Larisa shares life in the village late at night when Luda answered a knock and the door! 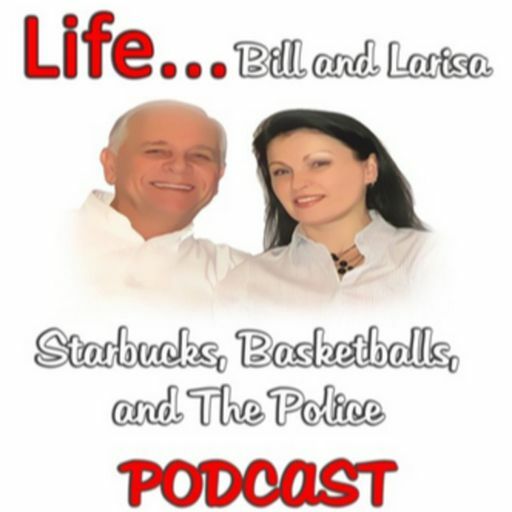 "Starbucks, Basketballs and The Police"
"Dance, Party and Duck Yellow"
"Dream Job and The President"
What is your dream job? Are you living it now? Do you have a plan? Bill and Larisa live their dream job daily having fun creating and sharing! "Winter, Train and A Hot Bed"
Travel by train is the preferred method for most travelers in Ukraine. Larisa recalls what life was all about in the former USSR. Bill and Larisa have traveled by train many times. It is always an experience! "Travel Buddies and A Plane Ride"
The first time I referred to my wife as my "Buddy", she gave me the look:) The look of disapproval and a little more. Best friend, buddy, fishing buddy, travel buddy... Who is your buddy? "Brother, Sister and The Lifeguard"
Larisa recalls summertime in southern Ukraine. Growing up in the USSR in the seventies and eighties had it's good times. Have fun with this episode! "School, Tomatoes and A Bus Ride"
Have fun with this episode! Larisa shares her school days in the 80's living in Ukraine. There was a lot more happening than just learning the ABC"s.
Larisa describes transportation and trains in Ukraine. Everything from the sleepy wagon to a night with grandma! Have fun with this fact filled blast from the past! South, West and A Field Trip! "Life" Fruit, Lamb and A Bottle of Wine! Bill and Larisa enjoyed a night out with Andre and his wife. They had an extraordinary meal prepared by our hosts. Tasty food with great friends! "Life" Movies, Popcorn and A Day Off! Bill and Larisa love to travel. Around every corner there is something new! Have fun with this episode all about a day of a little more! "Life" English School and the Teacher with Bill and Larisa!